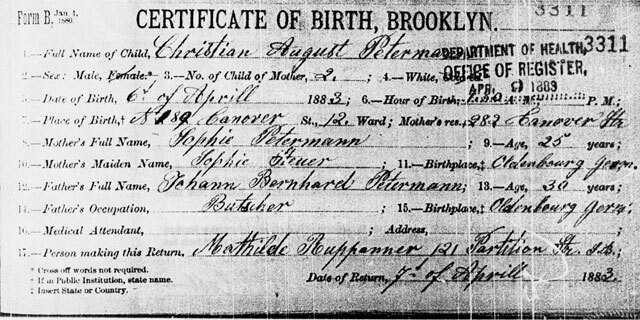 The Brooklyn Birth Certificate of Christian August Petermann, April 6, 1883. 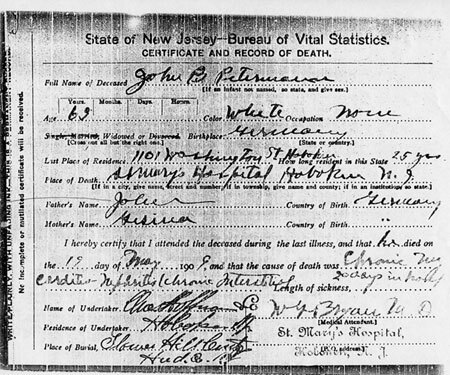 Death Certificate of William Peterson, age 1 year 11 months, June 27, 1886. I could not find a Birth Certificate for William in New Jersey. 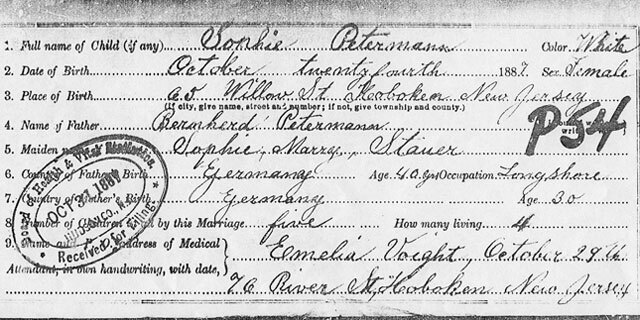 The New Jersey Birth Certificate of Sophie Petermann, October 24, 1887. 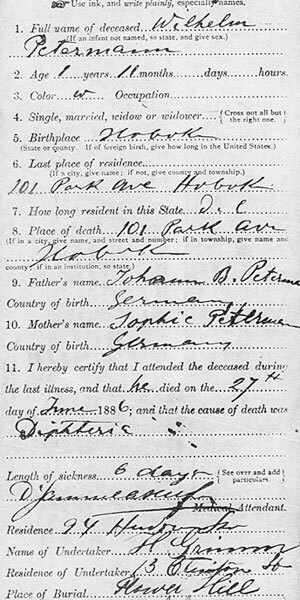 Death Certificate of Sophie Peterson, senior, age 42, September 28, 1889. 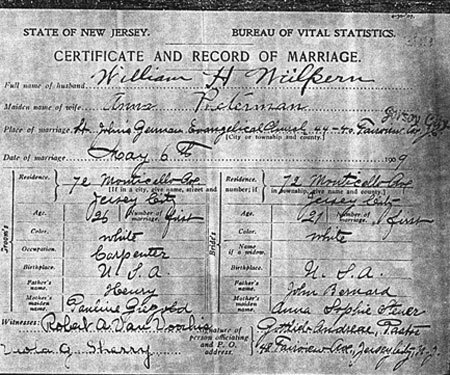 The Marriage Certificate of Annie Petermann and William Wulpern May 6, 1909. 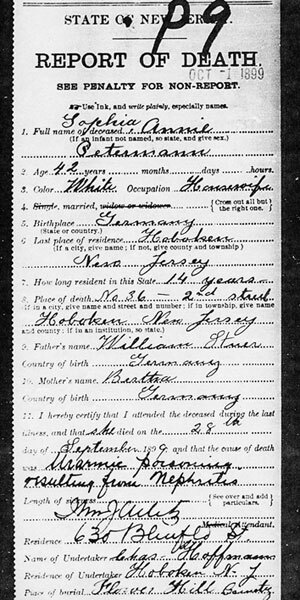 Death Certificate of Johann Bernard Petermann, senior, age 63, May 19, 1909.